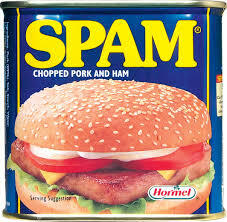 There are two broad categories of SPAM… malicious and non-malicious. Non-malicious SPAM is typically email intended to solicit business and while it may reduce employee productivity, it is not a threat to your business computers, network or data. Email frauds are scam messages that offer huge sums of money and request bank account details, or phishing scams that spoof popular services and con the recipient into giving their credit-card/account details. Phishing scams are email messages falsely claiming to be an established legitimate enterprise, in an attempt to scam the user into giving personal information, which will be used for identity theft. The email directs the user to visit a Web site where they are asked to update personal information, such as passwords and credit card, social security, and bank account numbers, that the legitimate organization already has. The Web site, however, is phony and set up only to steal the user’s information. The danger of phishing scams is that the website to which the victim is directed often looks legitimate, as it is a spoofed website intended to replicate that of the legitimate enterprise. A virus is a program that, like a biological virus, can replicate and sometimes damage the infected computer. An Email virus is a program or document attached to an email message that, when opened, spreads by forwarding itself to any number of recipients and groups in the email address book.These attachments are not a threat to your computer if you do not open/execute them. Do not open any attachments if they are not sent from a trusted source.